So let’s say you’re doing everything right. You have a linking program. You have a blog with plenty of fresh content uploaded every month. You have a well organized website that’s easy for consumers to navigate. So what else is missing? It’s simple. Social media. That doesn’t mean just having Facebook, Twitter, and Google+ (at least), but that you’re posting regularly on them. Looking for material? If you’ve got a newsletter or blogs, bingo! 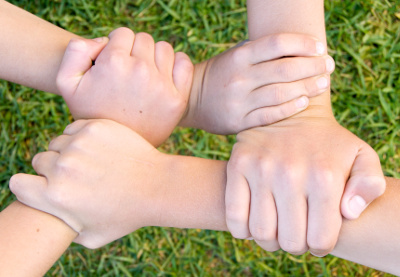 You have content you can be posting frequently-and this is just a start. Google’s new algorithm, Hummingbird, relies on the idea of content authority more than ever before. This translates into relevant, interesting copy that consumers are commenting on, awarding with “likes” and most of all, sharing with their own friends, family and colleagues. Barely intelligible but keyword rich paragraphs on your homepage won’t cut it-if it ever did, which is doubtful. Having a social media presence where you are connecting with consumers and sharing what you know is now critical for strong rankings. As Warren Lee, SEO consultant manager for ADOBE explains it, “SEO is no longer just about content, linking, and site architecture; it’s also about building social identity…and engagement.” It’s the relationship age for digital marketing, and if you haven’t created your company’s social media pages or interacted with customers lately on these platforms, it’s time to get started. 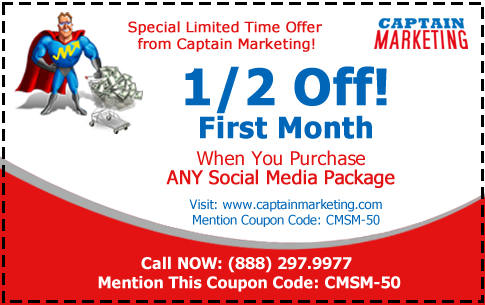 When it comes to social media, Captain Marketing has your solutions. With a wide range of SMO packages priced for every budget, we’ve got you covered for Facebook, LinkedIn, MySpace, Bebo, Twitter and more! With page sychronization and monitoring, regular data and progress reports, and total set-up and management included in our prices, you can rest easy knowing you’re tweeting up a storm…and getting the meaningful engagement with your potential customers that builds traffic and improves conversion. Check out our custom programs as well, for the customer who requires individual solutions to unique SMO challenges.